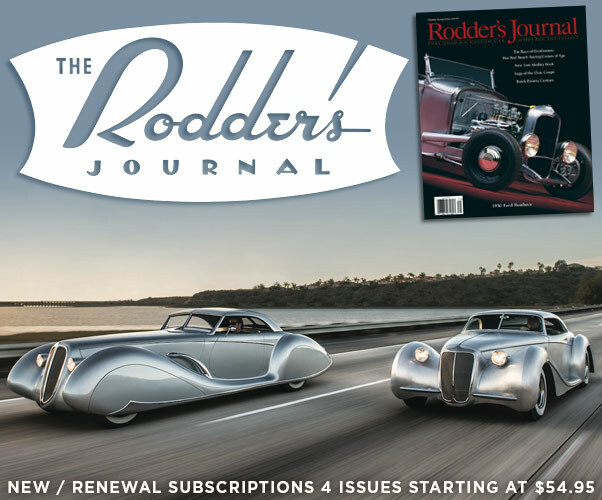 In the spring of 2017 Marcus Edell becomes the new caretaker of the Harry Costa 1941 Ford. The car comes with a shipload of history, trophies, photos, and also this Barris Crest keychain. Marcus Edell of Castro Valley, California, send us a message on June 07, 2017. “I just realized this evening that my keychain for the Costa Ford is a Barris Kustoms keychain ring. Im guessing its from the 50s. Harry Costa was good friends with Barris since the mid 50s.” Marcus had become the prowd new caretaker of the well known Harry Costa channeled and chopped 1941 Forde arlier in 2017. 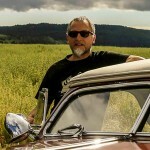 Marcus bought the car from the original owner and builder Harry Costa, and the car came with a very rich history, and Harry had kept every piece of memorabilia that he had collected over the years that was somehow connected with the car. 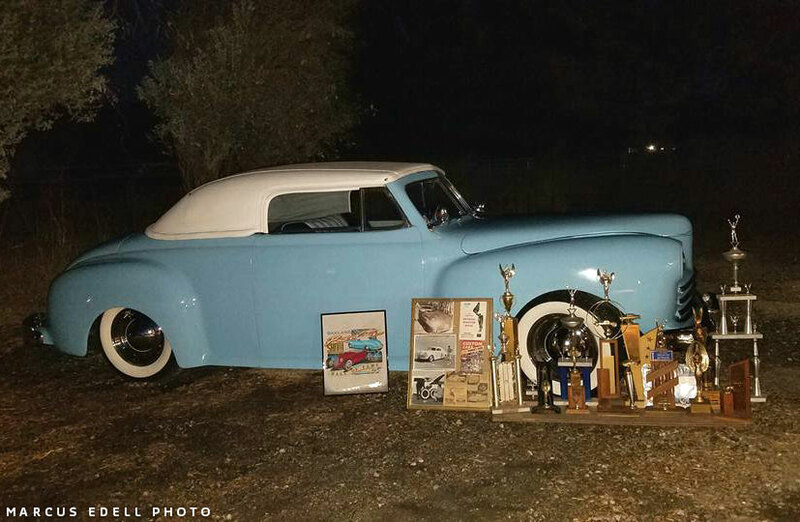 Trophies from the 1950’s and 60’s, photos, magazine articles, Car show tokens, etc. The Harry Costa 1941 Ford Convertible with some of the memorabilia it came with. 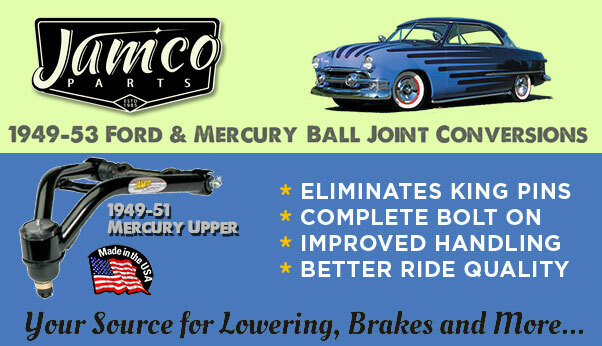 When Harry built the car he had become very good friends with George Barris, and whenever Harry needed some input on how to do certain things on the Custom Restyling of his dream ’41 Ford Custom, he would call George and George would tell him all he needed to know. 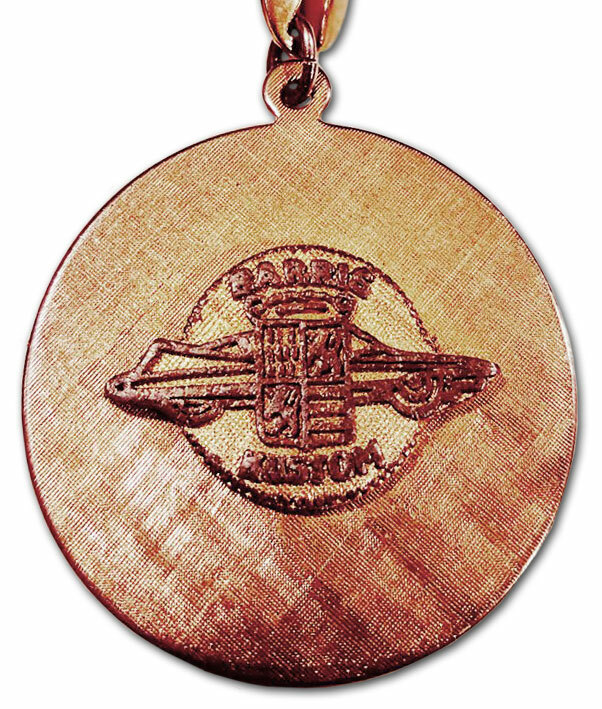 In June 2017 Marcus was holding the keychain of the Harry Costa Ford in his hands, like he had done many times before, when he suddenly noticed that there was a Barris Crest on it. WOW… Marcus had never seen any of these, so he send a photo to us, asking what it was, he thought that it might be from the 1950’s. 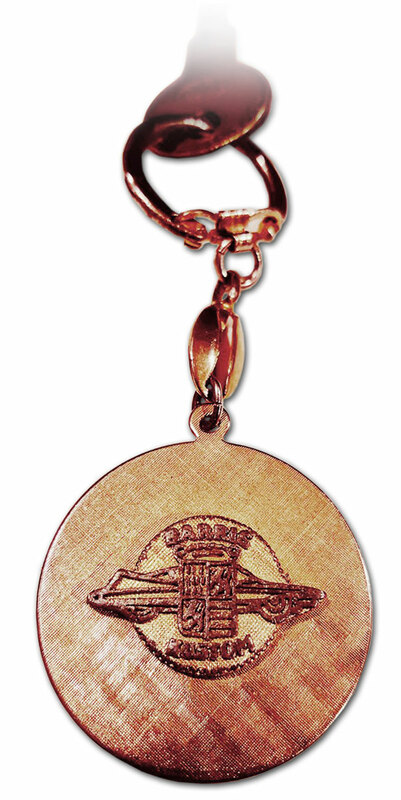 The Barris Keychain has a embossed Barris Crest with silhouette car and BARRIS KUSTOM logo on it. The whole background is crosshatched in a soft relief all in brass colored metal. 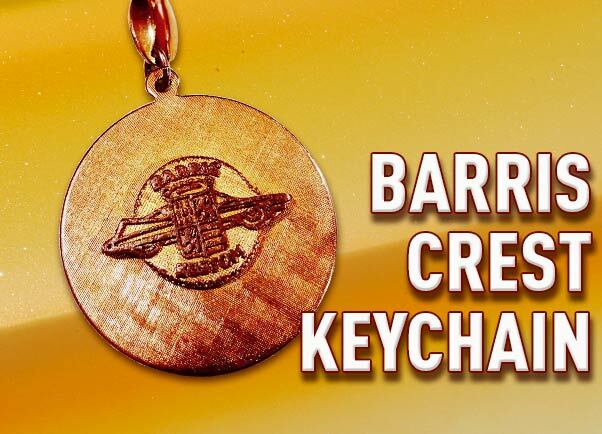 I had never seen or heard about a Barris Crest keychain either, but the logo on it indicates that it is not actually from the 1950’s from 1962 or newer. Barris added the car image to the Crest around 1962. More info on the history of the Barris Crest can be found in the CCC-Article on the Barris Crest. But the 1960’s is the only adding info I was able to provide Marcus. So far nobody (facebook) has seen this Barris Keychain before, or knows anything about it. Was it on early 1960’s item that Barris produced, was it perhaps custom made in a very small quantity, so that only very few people ever saw one? Or was it a more recent production from the Barris Shop just like they did the Barris Crest and a smaller hat pin version of the crest? 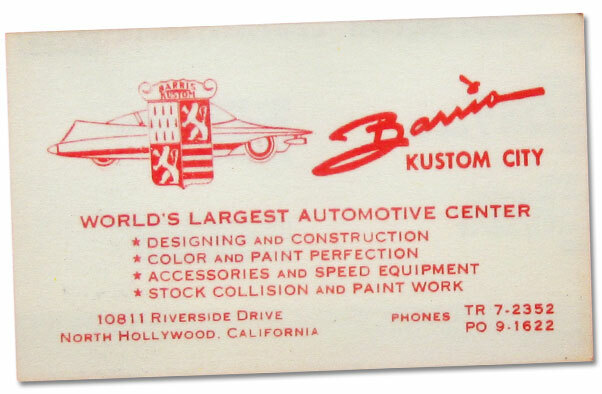 Barris Kustom City business card showing the logo/crest that is also on the keychain. 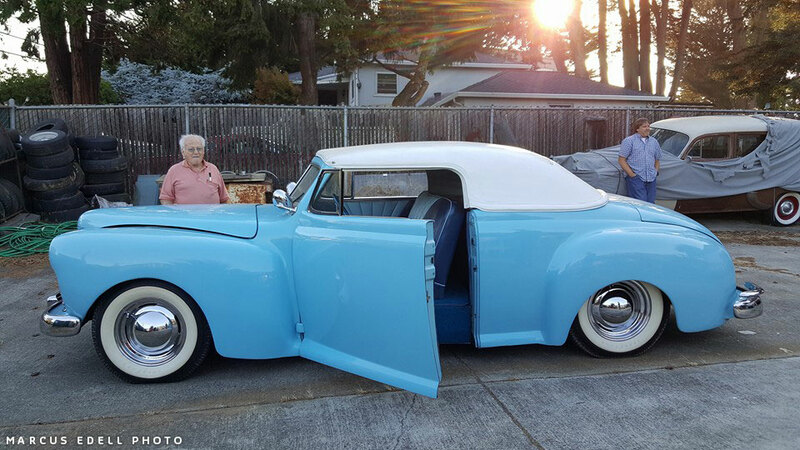 Harry Costa with his 1941 Ford chopped, Hall padded topped channeled Convertible. Close up of the Barris Crest on the keychain. Does anybody know anything more about his Barris Kustom Crest keychain? When was it produced, and was it offered for sale, or perhaps given to owners of cars that were restyled by the Barris shop? If any of our readers knows, more, please send Rik an email. Thank you.